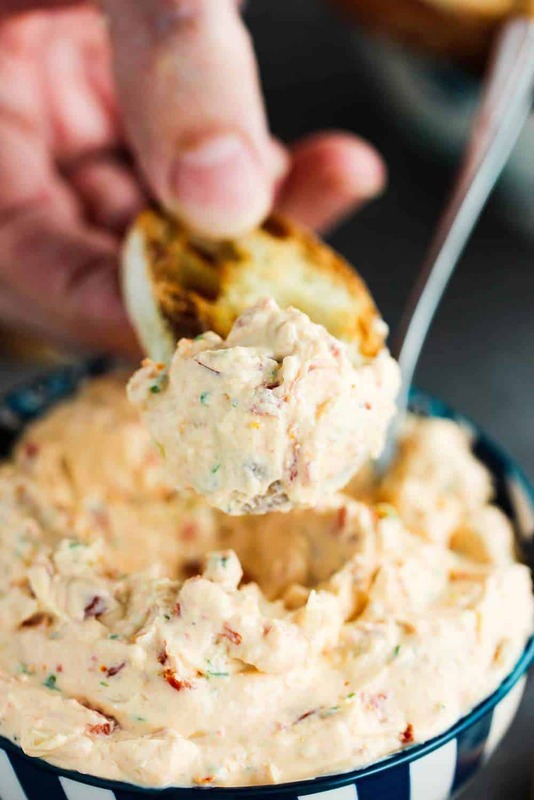 This Sun-Dried Tomato and Artichoke Dip recipe is so flavorful and is just perfect for warm-weather gatherings. Not one ingredient over powers another, and it just make for the most delicious no-bake dip. 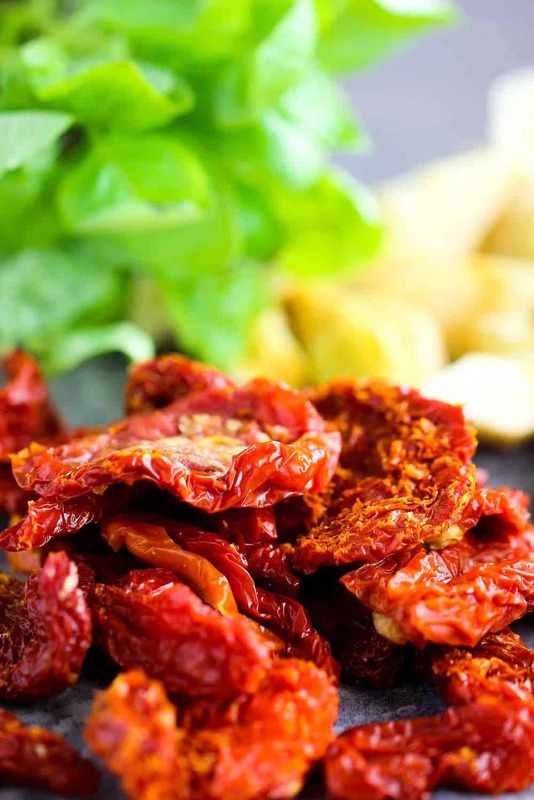 We have always loved sun-dried tomatoes. You can go with the type packed in oil, or fresh. I’ve tried both while working on this recipe, and although I like the both, I think the version in olive oil works very well in this dip. Fresh basil compliments the tanginess of the cheese and artichokes beautifully. And the color is gorgeous! 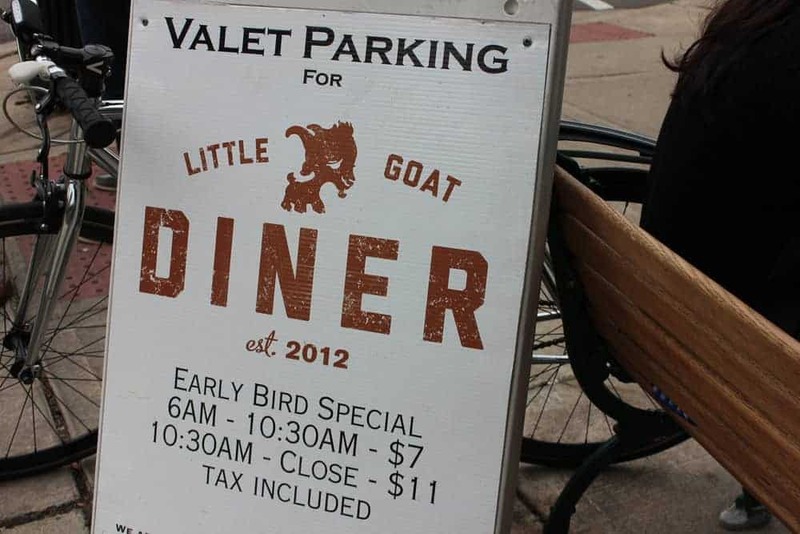 I just love goat cheese, but it can be a bit strong on the palette. 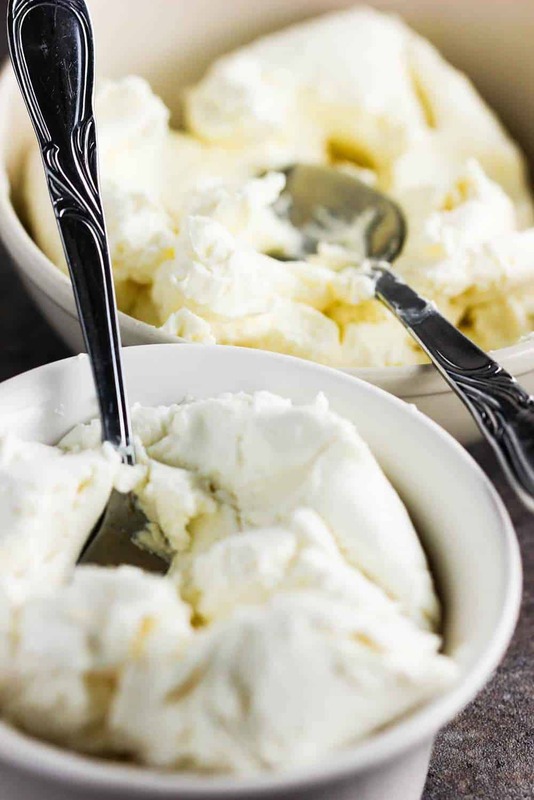 The cream cheese and sour cream balance it out wonderfully. Oooooh, this dip is so creamy and just so satisfying. 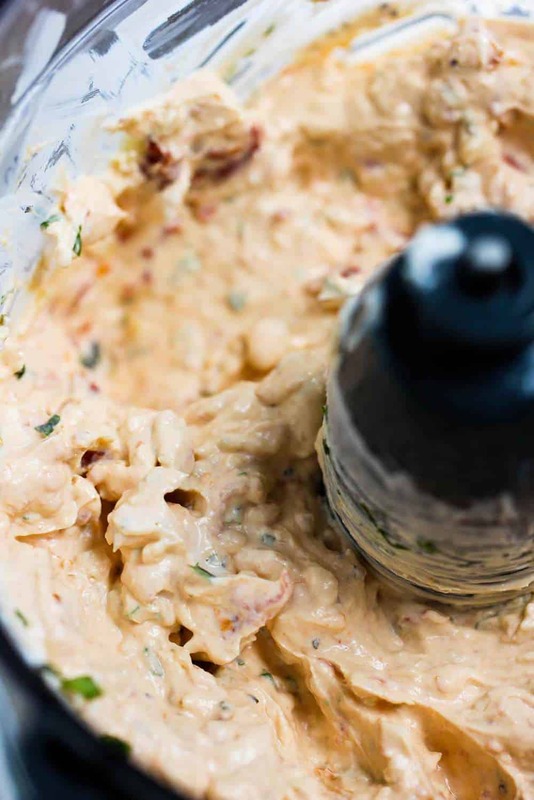 Pulsing all the ingredients in a food processor gets the dip to an ideal constancy. Having all the ingredients at room temperature helps this process, too. Doesn’t that just look good enough to eat? This dip is perfect for chips and veggies. We love to get a fresh baguette and then slice it thinly and then toast the bread. The perfect little vessel for spreading on this incredible dip! It is such a nice thing to see friends and loved ones react to this dip when they take their first bite. 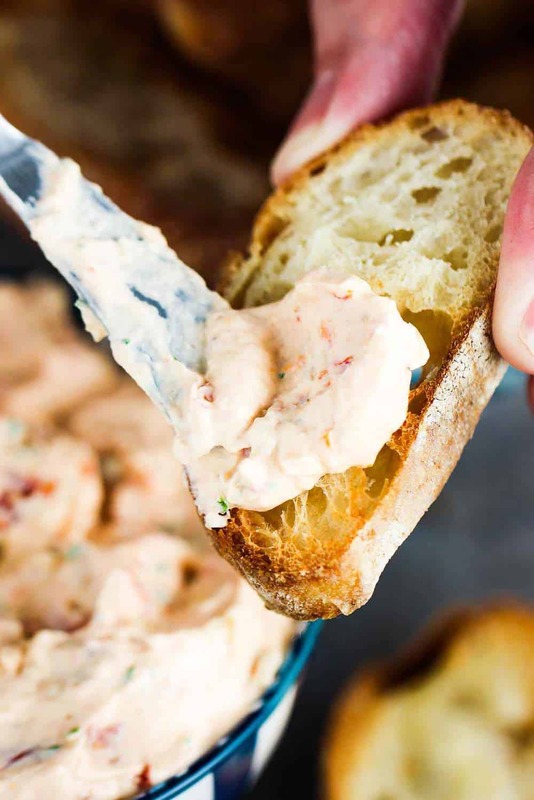 This is the perfect warm-weather dip because the flavors are just so fresh, but trust me, this is good anytime of the year. Isn’t that a good looking dip? 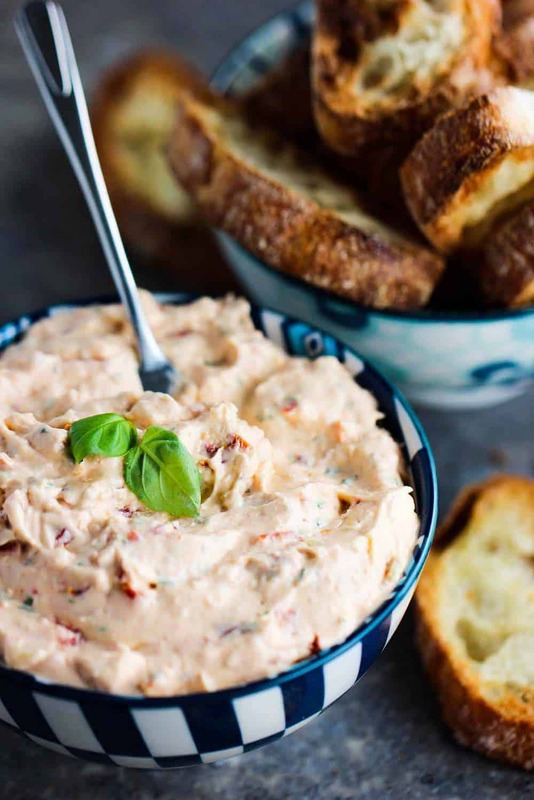 Now, go grab your goat cheese, sun-dried tomatoes, fresh basil, and the other delicious ingredients, and make this super delicious Sun-Dried Tomato and Artichoke Dip recipe! And it’s really easy, too. 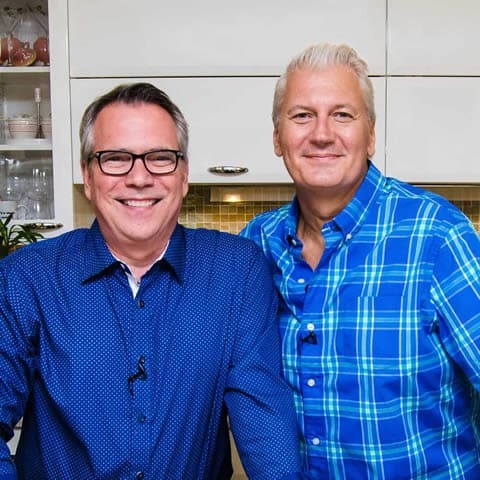 No baking involved! This Sun-Dried Tomato and Artichoke Dip recipe is one of our favorite Summer-time dips. The flavors are so fresh and just really delicious. Perfect for chips, veggies, toasted bread, and more. And no baking required! Add all ingredients, except the basil, into a food processor and process until blended. Add the basil and pulse some more until smooth. Chill in the refrigerator for at least 1 hour, and then let sit at room temp for at least 30 minutes before serving. I have yet to try an artichoke dip that makes use of sun-dried tomatoes! This sounds absolutely delicious. Thank you so much for sharing. Cannot wait to try making this at home. That dip looks so good! I could make that my lunch on a hot summer day. Love the bread idea.